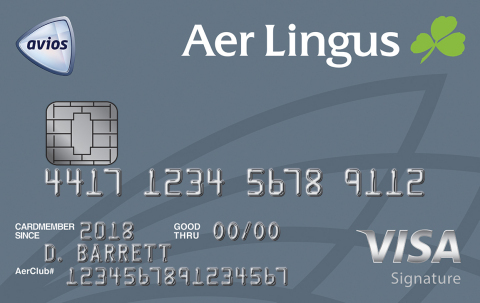 WILMINGTON, Del.--(BUSINESS WIRE)--Chase Card Services, the leading co-brand credit card issuer in the U.S., in partnership with Avios Group (AGL) Limited, today announced the launch of the Iberia Visa Signature Card with an Aer Lingus Visa Signature Card following later this spring. 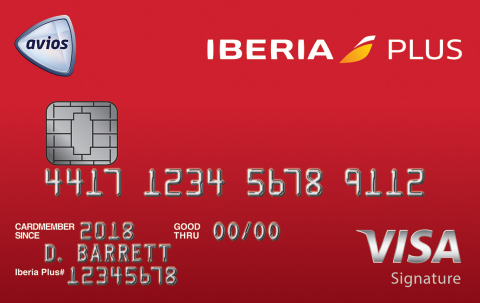 Both cards offer 3 Avios per $1 spent on Iberia, Aer Lingus, British Airways, LEVEL and OpenSkies, and 1 Avios per $1 on all other purchases. Iberia is the leading carrier on routes between Europe and Latin America and it flies to 131 destinations in 48 countries in Europe, the Americas, Africa, Middle East and Asia, including Boston, Chicago, Los Angeles, Miami, New York and, starting in April 2018, San Francisco. Together with its subsidiary Iberia Express and its franchise partner Iberia Regional/Air Nostrum, it operates about 600 flights each day with a fleet of some 135 aircraft. It offers easy and convenient connections at its hub in T4 in Madrid-Barajas airport. Iberia was the world’s most punctual airline in 2016 and in 2017, according to FlightGlobal Incorporating FlightStatss. The airline has recently been awarded the 4th star of Skytrax. The airline is a member of the oneworld® alliance that operates more than 14,000 daily flights to some 1,000 destinations in more than 150 countries. For more information, please visit http://grupo.iberia.es.